Lately, I've been in a watercolor kind of mood. 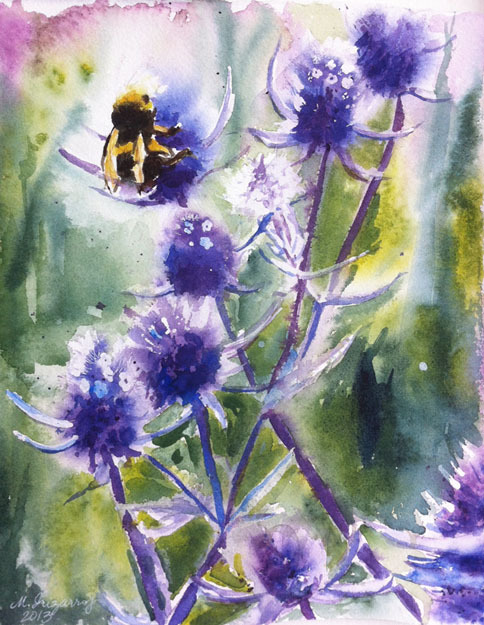 I have done a few sketches of flowers and bees as part of the "Paint my Photo" watercolor challenge for this month (June 2013). 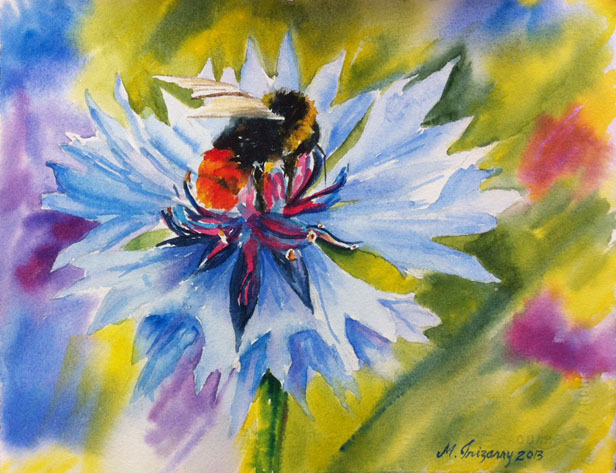 I tried the bee on cornflower twice trying to paint as loose as possible but I think I fiddled too much with the background. Will try again in a while to see if I can simplify the background more. I've also painted a rhododendron in watercolor as part of the Wetcanvas "Floral's and Botanical" group June 2013 challenge. I enjoyed painting these flowers a lot. Top: Bee on cornflowers, Bottom Bee on Eryginum/Pink Rhododendron. All are 8x10 inches on Arches 140 lb. paper.